Since 2007, our team of expert bariatric surgeons have performed more than 3,000 procedures - changing the lives for patients and their families all over South Jersey. Marc A. Neff, M.D., F.A.C.S. 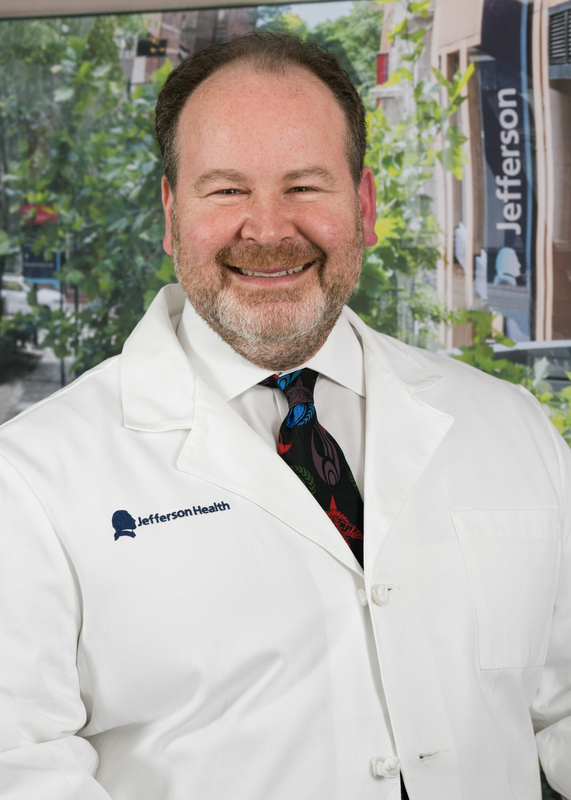 Dr. Marc Neff is Medical Director of the Jefferson Health Bariatric Surgery Program in New Jersey. In this role, Dr. Neff oversees the clinical operations of the program, which has received Level 1 Accreditation through the Metabolic and Bariatric Surgery Accreditation and Quality Improvement Program (MBSAQIP). A Fellow of the American College of Surgeons, Dr. Neff is a graduate of the University of Pennsylvania School of Medicine. 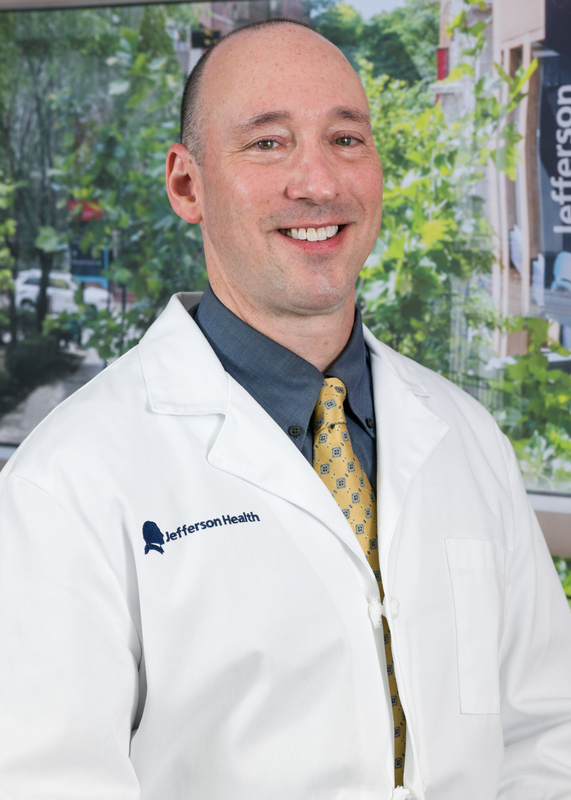 He completed a five-year General Surgery residency at York Hospital in York, PA, and then went on to do a two-year Fellowship in Minimally Invasive Surgery at St. Peter's University Hospital in New Brunswick, NJ. There, he trained under recent Past President of the Society of Laparoendoscopic Surgeons, Dr. W. Peter Geis, and recent Past President of the American Society of Metabolic and Bariatric Surgery, Dr. Robert Brolin. Adeshola D. Fakulujo, M.D., F.A.C.S. Dr. Fakulujo is an assistant professor in the department of surgery at the Rowan University School of Osteopathic Medicine (RowanSOM). 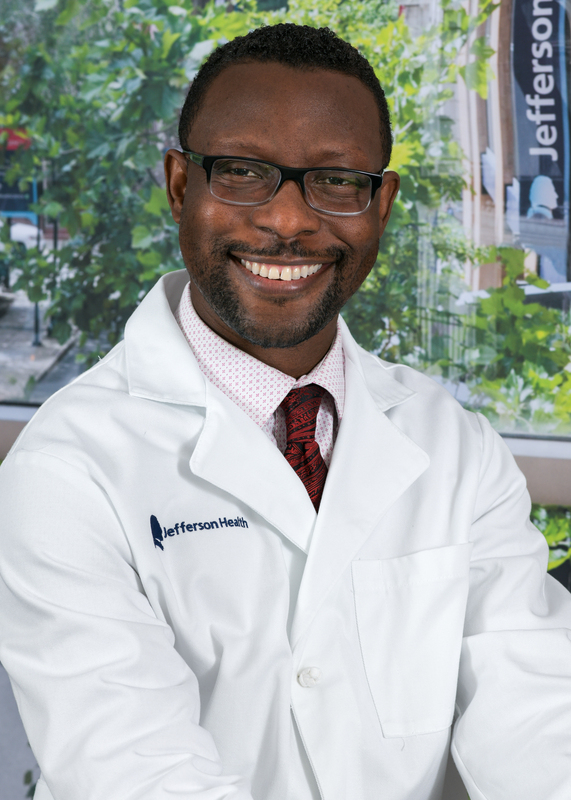 Prior to joining RowanSOM, Dr. Fakulujo completed a residency in general surgery at Columbia University's Harlem Hospital Center in New York. After his time at Harlem, he pursued additional training and completed a fellowship in Laparoscopic Bariatric Surgery and Minimally Invasive Surgery at the Bariatric and Metabolic Institute at the Cleveland Clinic in Florida. During this period, he was instrumental in leading a wide variety of bariatric procedures including laparoscopic roux-en-y gastric bypass, laparoscopic sleeve gastrectomy, laparoscopic gastric banding and revisional bariatric surgery, as well as other advanced laparoscopic procedures including paraesophageal hernia repairs, anti-reflux procedures, heller myotomy, laparoscopic solid organ surgeries. Dr. Fakulujo obtained his medical degree from the University College Hospital, University of Ibadan in Nigeria. He is board certified by the American Board of Surgery, and is an active member of the Society of American Gastrointestinal Endoscopic Surgeons (SAGES) and the American College of Surgeons. Dr. Adam Goldstein has been practicing bariatric surgery since 2004 when he completed his Fellowship in Minimally Invasive, Bariatric, and Robotic Surgery at the University of Illinois in Chicago. 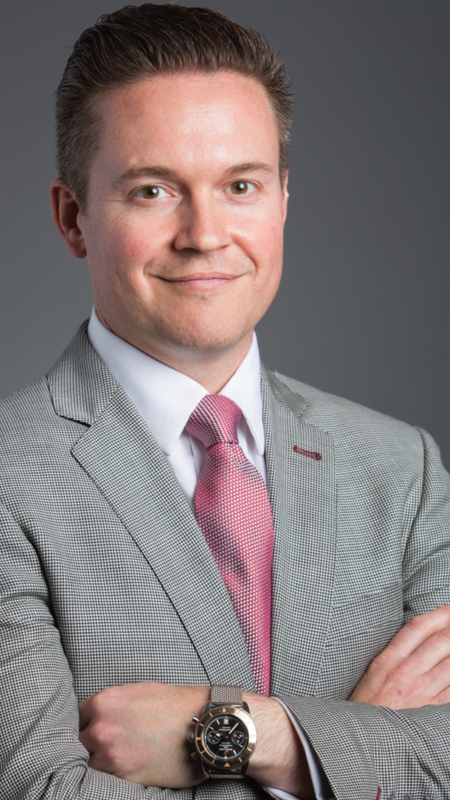 He currently serves as an Assistant Professor with Rowan University School of Osteopathic Medicine, and has extensive training and experience performing laparoscopic bariatric surgery. A Board Certified Fellow of the American College of Surgeons, and a member of the American Society of Metabolic and Bariatric Surgery, Dr. Goldstein joined Jefferson's Bariatric Program in 2012, but has served as Director of Bariatric Surgery and Director of Minimally Invasive Surgery for another local hospital system for years. Dr. Goldstein graduated from Cornell University with a Bachelor's Degree in Biological Sciences and went on to graduate from the New York College of Osteopathic Medicine, finishing in the top 5% of his graduating class. Following this, he completed his General Surgery Residency at the University of Illinois Metropolitan Group Hospitals, where he was awarded the Resident Achievement Award in Laparoscopic Surgery before going on to complete his fellowship. Dr. Goldstein is a respected member of the bariatric surgery community, and has been interviewed on television and radio about the operations. Dr. Louis Balsama helped established Jefferson's Bariatric Program in New Jersey in 2007, along with Dr. Marc Neff. Dr. Balsama has always had an interest in teaching and has been very active with the Rowan School of Osteopathic Medicine during his career. He currently serves as both the Acting Chairperson of Surgery at Rowan-SOM and as Program Director for the Surgical Residency at Rowan-SOM (formerly UMDNJ-SOM). A South Jersey native, Dr. Balsama graduated from UMDNJ-SOM in 1999, completing his Residency at Lehigh Valley Hospital in Allentown, PA, in 2005, and has been a Kennedy physician since that time. An avid runner and Boston Marathon qualifier, Dr. Balsama encourages and inspires his bariatric surgery patients to take an active role in their weight-loss journey through physical activity and a healthy diet. A member of the American College of Surgeons and the Society of Laparoendoscopic Surgeons, Dr. Balsama is also on the Jefferson Health Infection Control Committee. Peg has been the bariatric program Coordinator since 2014. A nurse for more than 30 years, Peg has worked in the field of Bariatric Surgery for 12 years, beginning as a clinical consultant for the device industry. In that role, Peg traveled throughout the world, consulting on bariatric program development. Her industry work exposed her to many Key Opinion Leaders (KOLs) in the field of weight loss surgery, where she learned a great deal about both its clinical and business aspects. A member of ASMBS (American Society of Metabolic and Bariatric Surgery) and a CBN (Certified Bariatric Nurse), Peg successfully underwent bariatric surgery herself in 2003, along with six other family members … an experience that she says provides her with an greater understanding of the personal challenges – and many triumphs – experienced by surgical weight loss patients.